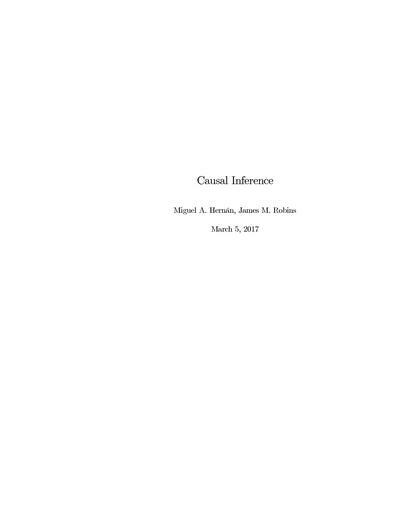 Miguel Hernan wrote:My colleague Jamie Robins and I are working on a book that provides a cohesive presentation of concepts of, and methods for, causal inference. Much of this material is currently scattered across journals in several disciplines or confined to technical articles. We expect that the book will be of interest to anyone interested in causal inference, e.g., epidemiologists, statisticians, psychologists, economists, sociologists, political scientists, computer scientists… The book is divided in 3 parts of increasing difficulty: causal inference without models, causal inference with models, and causal inference from complex longitudinal data. 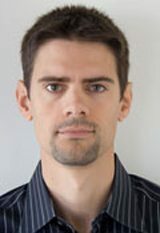 Miguel Hernan is Kolokotrones Professor of Biostatistics and Epidemiology in the Department of Epidemiology and the Department of Biostatistics at Harvard T.H. Chan School of Public Health. His research and teaching are focused on methodology for causal inference, including comparative effectiveness research to guide policy and clinical decisions. 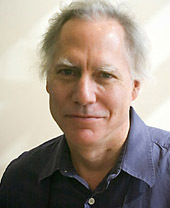 James Robins is Mitchell L. and Robin LaFoley Dong Professor of Epidemiology in the Department of Epidemiology and the Department of Biostatistics in Harvard T.H. Chan School of Public Health. The principal focus of Dr. Robins’ research has been the development of analytic methods appropriate for drawing causal inferences from complex observational and randomized studies with time-varying exposures or treatments.